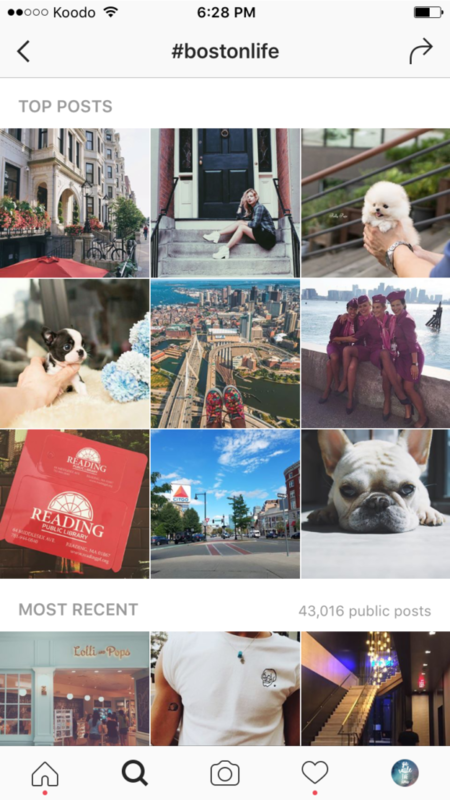 Are you getting the results you want on Instagram? If you’re struggling, you might be making one of three fatal Instagram strategy mistakes that are cramping your style! They’re quick and easy to fix once you’ve identified them. There are a whole host of mistakes I see people making on Instagram, and I’ve made most of them myself. I’ve been guilty of every single one of these three Instagram strategy mistakes in the past. I’m killing it on Instagram with my two accounts @gorattlethestars and @lobotany, with over 130,000 followers combined. It just goes to show you how far you can come by making corrections and refining your Instagram strategy. Instagram Strategy Mistake #1: Being unclear about what your business is all about, and what you have to offer. 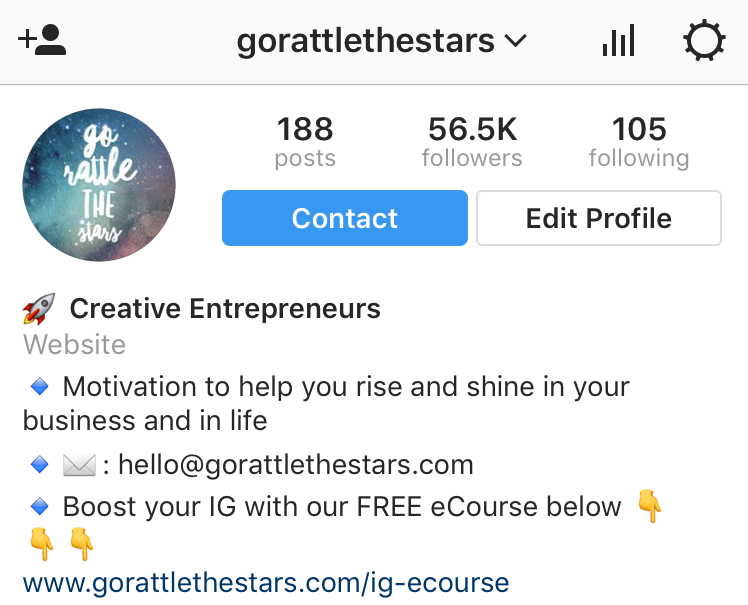 Have you ever come across an Instagram account that is full of pretty pictures, but you just have no idea what their business does or what it can offer you? Pretty pictures are great and all, but if you really want to attract your ideal audience and get them to hit that follow button, you’re going to have to get clear on who you are and what you’re all about. What can you offer your audience? Cool products? Amazing, actionable advice? Inspiration? Motivation? A solution to all their problems? This should all be super clear, but it’s something that I see people having trouble with all the time. There are many places to get specific about this, but the most important is your Instagram profile. Is your name clear? 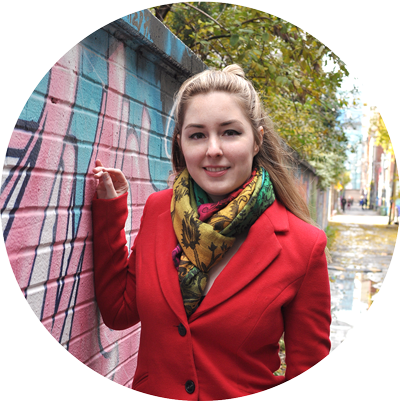 Does your profile picture accurately represent you or your brand? Does your bio tell your audience the details on what you do and what you can do for them? These are all great places you can put that important information, and it really needs to be there. Get clear about who you serve and what your account/biz is all about in your profile. You don’t want your audience getting confused about what you’re all about when they first land on your virtual doorstep! Setting your account up to be professional, clear, and effective at capturing your audience’s attention is the first step in building a successful Instagram campaign. 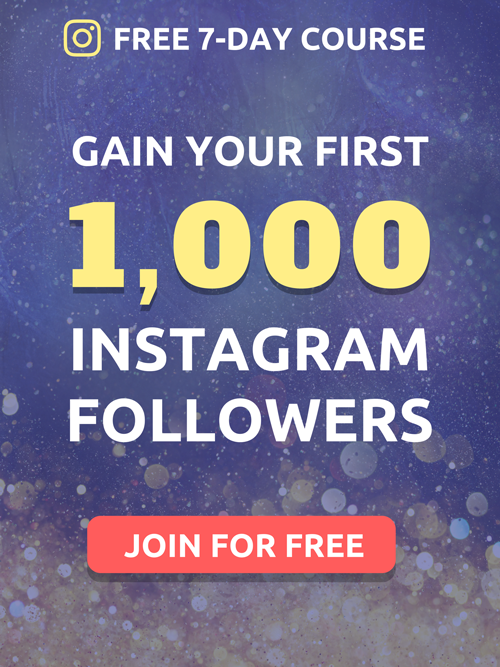 We spend the whole first lesson talking about this topic in my free eCourse Jumpstart Your Instagram. In order to get you off to the best start possible. Because if you get this one thing right, the rest of the effort you put into growing your account is going to be that much easier, not to mention efficient! Instagram Strategy Mistake #2: Using the wrong hashtags for your account. I know hashtags are perplexing to a lot of people, and I counted myself included in that group in the beginning. 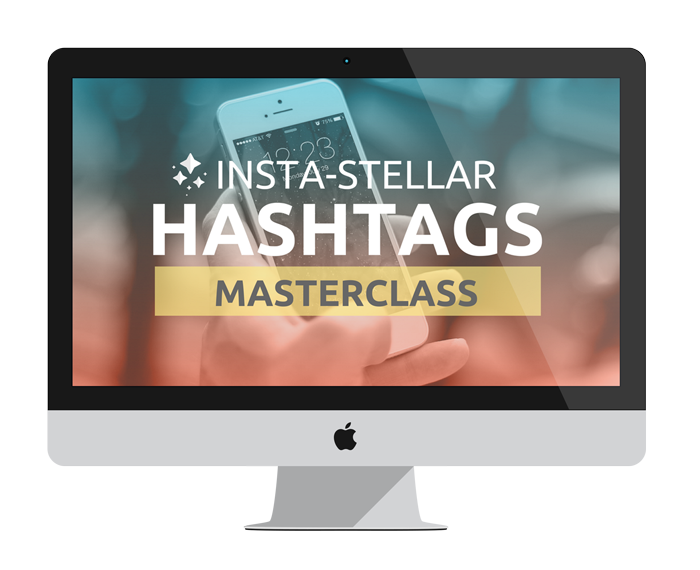 Hashtags are actually a pretty simple growth tool to use once you wrap your head around how they work and how to choose the best ones for your specific account. A lot of people receive bad advice on this topic – I don’t know how many blog posts I’ve read where the audience is being told to “use top hashtags like #instagood #love #happy #girl” etc. No. Just don’t do it. I’m begging you. I wrote an entire post that dives deep into finding the best hashtags for your specific business. If you’d like to take things even further than what’s outlined here, be sure to give it a read. When it comes to hashtags, size definitely matters. Niche is super important too. If you take a look at the page for a specific hashtag, you’ll see that the page is divided into two sections: Top Posts and Most Recent. “Top Posts” shows the most popular posts recently tagged with that hashtag. To get your content to show up here you’re going to need a LOT of likes and comments, and the bigger the hashtag the more likes and comments you’ll need to land here. 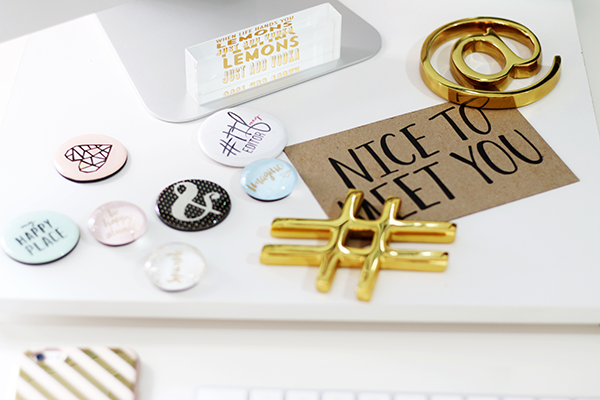 Aim for the Top Posts section for all your hashtags. To get the best bang for your buck, you should be aiming to land in the Top Posts section for as many hashtags as you can. 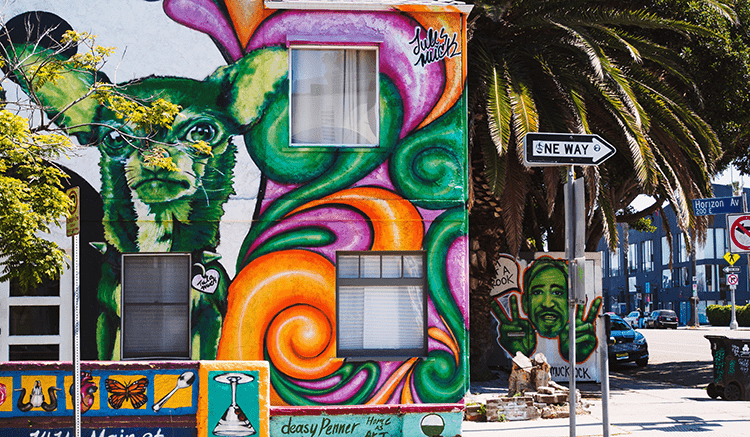 Hashtags can be used to search for the content you like, so if you have an art account and you’re using the hashtag #happy, it isn’t going to do a very good job at attracting art lovers to your page. That’s why you want to get super specific on finding what your niche is. If you’re an artist, you’d be better off using something like #painting #artlover#artistic to attract the right kind of followers to your account. People who already have an interest in your topic are more likely to follow you anyway. 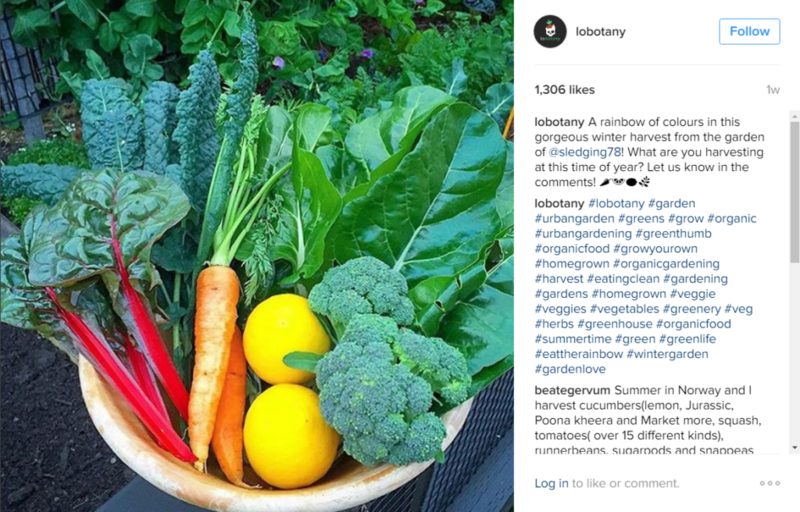 Keeping it niche specific: gardening content tagged with a full set of garden related hashtags. Setting up a great hashtag strategy really depends on several things: your niche, your size, and what kinds of images you’re posting. It definitely takes a bit of analyzing your target audience and doing some hashtag research to really get it right. Hashtags are a really powerful yet passive way to grow your account, so leave them out of your Instagram strategy at your own peril! I grew two Instagram accounts to a combined 115,000 followers in under a year,and using the proper hashtags was an essential part of my success. Instagram Strategy Mistake #3: Going it alone. Not interacting with followers, and not forming relationships with your peers and influencers in your niche. Of the three mistakes listed here, this is the one I’ve personally struggled with the most. But this is a HUGE mistake to be making on a social media platform! I spent months doing the bare minimum interacting with my followers, didn’t connect with peers in my niche, and DEFINITELY didn’t have the guts to approach any influencers for collaboration. And although I do all of these things now, looking back I honestly wish I had started sooner. Because when I finally did start doing all those things, I was astounded by the results. I joined a couple networks with other people looking to connect and grow their accounts, and in a matter of weeks my growth rates went through the roof. My monthly growth rate literally quadrupled. The green line is when I started using my network to help me grow, resulting in a substantial increase in growth rate. You definitely shouldn’t try to be an island or a lone wolf on Instagram. Growing an account all by yourself is completely possible, but you’re going to get waaaay better results if you connect with others. So get out there and start reaching out to your peers! Start doing share for shares with accounts of similar size. You gain exposure to their audience, and they gain exposure to your audience, for mutual growth! Do this with as many accounts as you can (staying within your niche) for the best results. Join or set up an engagement group. These groups work to help each other out with your growth and engagement. Set them up as a private DM group in Instagram, or off platform in a chat app like Kik, Telegram, or Slack. Everyone notifies the group when they’ve posted, and all group member go and like/comment on each others most recent content. Try some paid promotions or shoutouts with an influencer in your niche to gain exposure to a larger audience. Though this comes at a price, you could potentially gain a big boost in followers, email opt-ins, or sales. 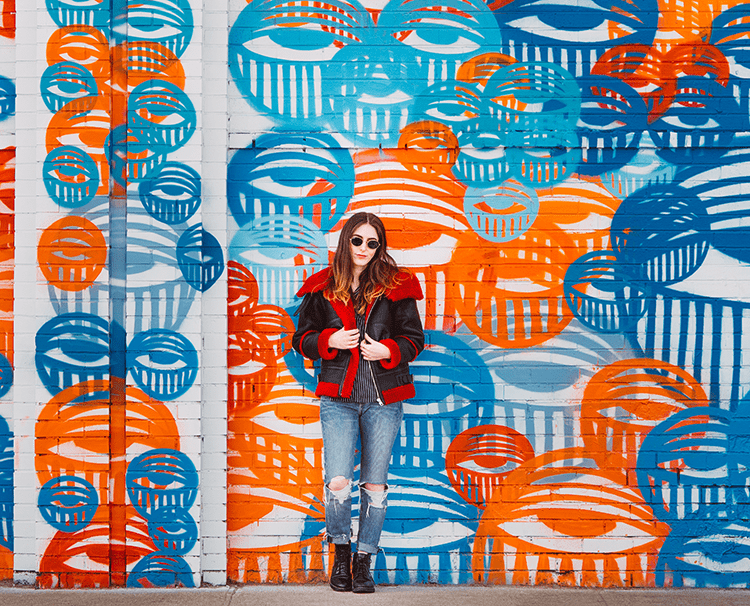 Check out this post to learn about how to work with Instagram influencers to boost your brand. These are all incredibly effective strategies that will help you grow. 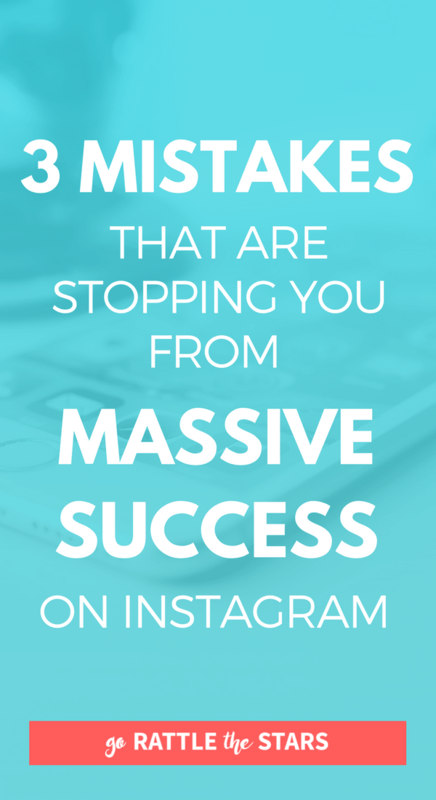 Avoiding fatal mistakes like these is KEY to succeeding on Instagram. I made a lot of mistakes myself, and it took me a lot of time and practice to really start getting things right. I want to make the process easier for you by sharing with you all the things I learned, and telling you what actually worked so you can get on with those things and stop wasting your time on the wrong stuff. Nice post! Couldn’t agree more that you should be focused regarding who your target audience is, using the right hashtags to capture the right audience and using social media to be… social! I am a newbie and I found this as I was doing research. I love this post it has really helped me change my instagram game.